Choose your own date from May to September. We need 4 people to confirm your trip. 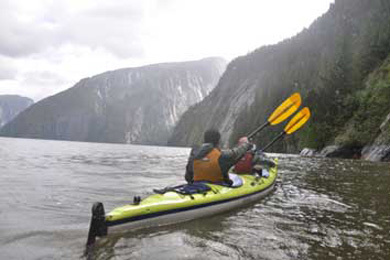 The protected waters of the Misty Fjords give the novice and the experienced kayaker outstanding opportunities for kayaking exploration and wildlife viewing alongside towering cliffs and cascading waterfalls. 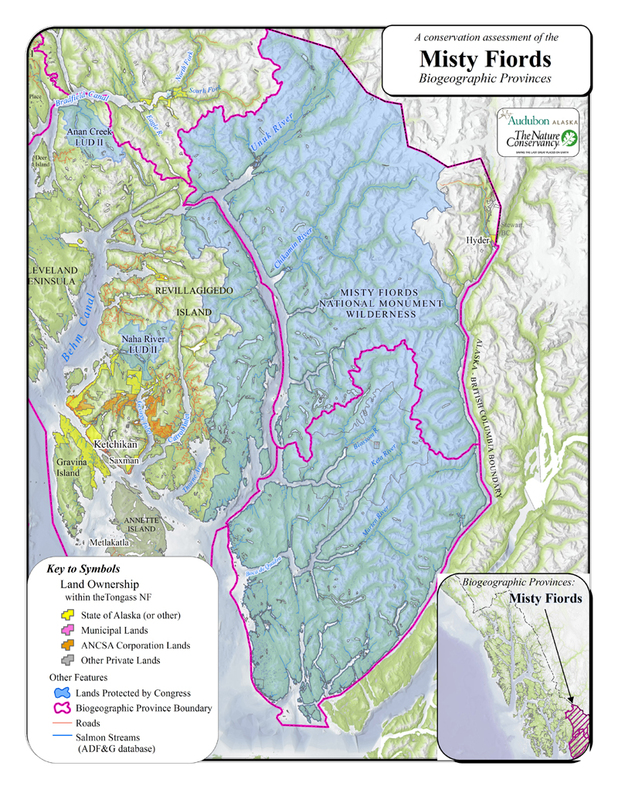 The Misty Fjords National Monument is one of the nation's newest and most outstanding. 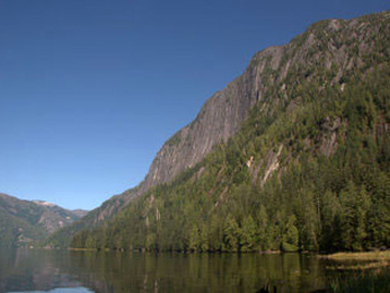 Its fjords have been described, as the world's most spectacular. 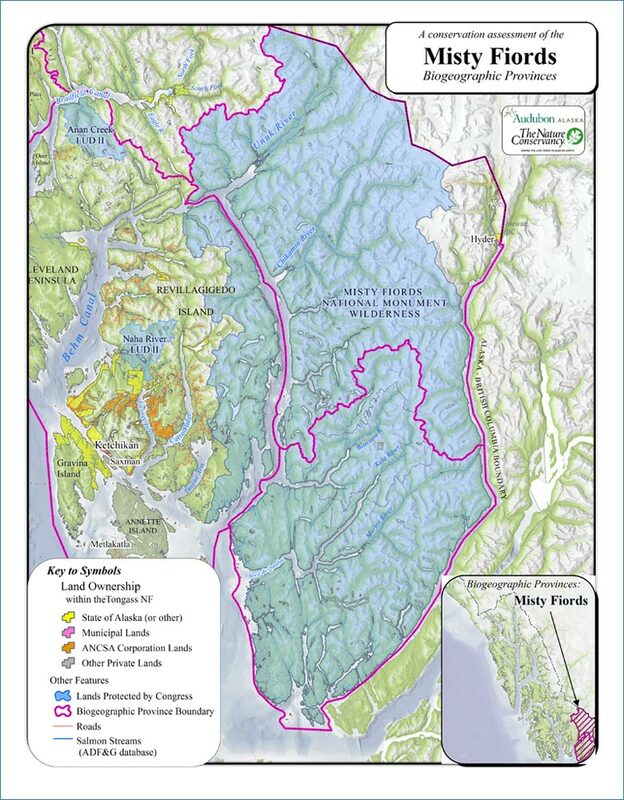 The 2.2 million-acre Monument was created by receding glaciers, and encompasses all ecosystems in Southeast Alaska. 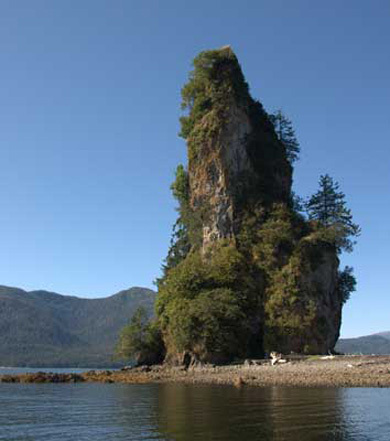 The diverse geologic fjords include hanging valleys, cirques, lava flows and New Eddystone Rock, a volcanic plug projecting from the depth of Behm Canal to a height of 237 feet. Enjoy six days of low impact camping in remote locations, daily sea kayaking, as well as optional hiking to pristine lakes. 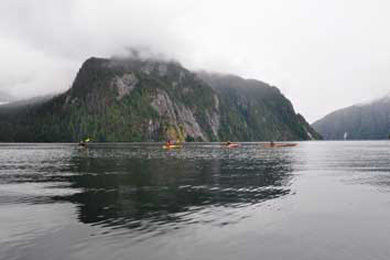 Our guests kayak up to twelve miles a day according to the family or group's own skill level. 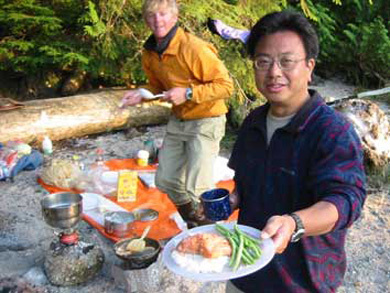 Meals are made fresh by your guide. Custom meals are available for your dietary needs. 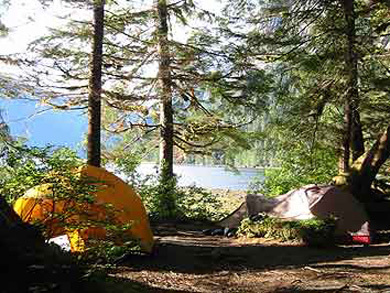 Guided trips include: Round trip transportation to kayak departure point, single and double kayaks, tents, safety equipment and food. A list of personal equipment needed will be sent upon payment of deposit. Reservations/Cancellations: Please make reservations early, especially if your itinerary is not flexible. We accept payment by Visa/Mastercard, travelers checks and Alaska checks. A deposit of $100.00 is required to hold your reservation. Full refund is available until 10 days prior to trip departure. "Great trip in the Misty Fjords. Thanks Jared and the Southeast Exposure crew for making it happen. This trip was a dream come true. 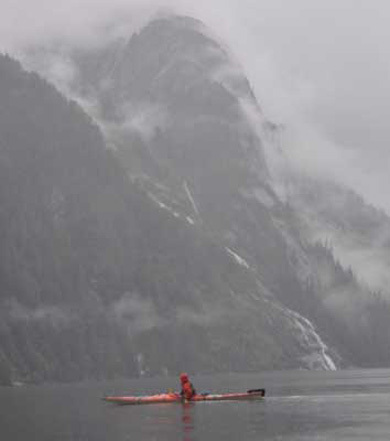 Paddling in the magnificent fjords in calm water, checking out all the bears, birds, eagles, seals, sea lions all in the wilderness. The camping spots were great and the beach cooking tastier than expected. Just a great experience in the wilderness away from phone, internet and back to real nature. Cheers!" "We loved this trip. Matt put us at ease by letting us set the pace. 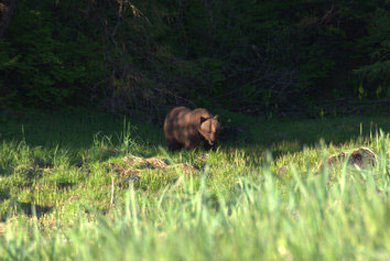 He seemed to know when to stop and make camp. The sound of water, the tides, the rain and waterfalls surrounded our senses and we found peace. A friendly seal followed us one day, curious to find out what we were up to."